As summer days heat up, blue hues can cool us down! get ready for the vintage show that she hosts with her sis in law, artist Christie Repasy. and I get to play in the vintage world I love so much! and the show theme this season is 'Bohemian Beach'. I was completely inspired by what I saw! bringing a definite bohemian seashore / beach vibe to this beautiful park in the desert. Details: Furniture in soft blues, whites, and warm pinks lend a beach cottage feel. And a salvaged sink gets a new metal stand, and can be used in many ways on a summer deck! and what looks like a ship's wheel - perfect summer decor. Details: a milk-glass chandelier and a ruffled sky blue tote bag on a regal mannequin. Furnishings and accents in white and aqua and pink create a serene setting. Since I left on setup day, many of the booths weren't finished yet and 'ready for their close-up'. 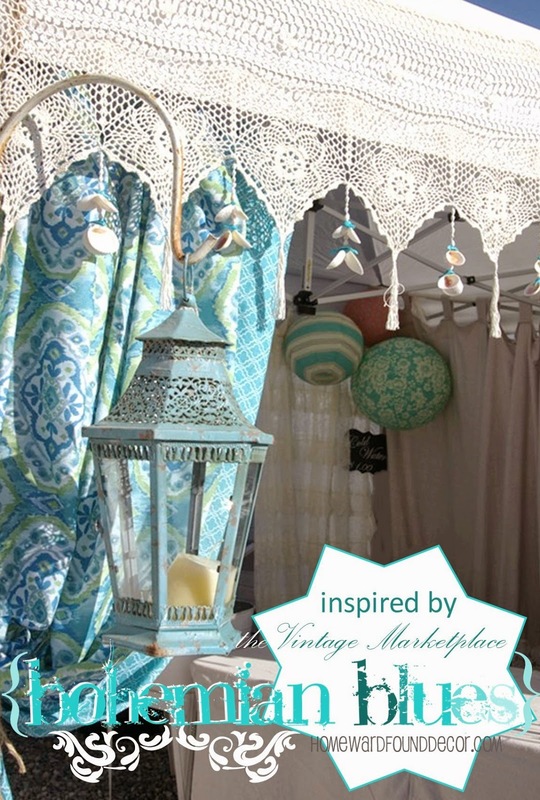 of beautiful booths, dazzling decor, and inspiring ideas very soon! This is not an old lantern. The patina is painted on! And the va-voom paisley curtains here? Shower curtain panels. 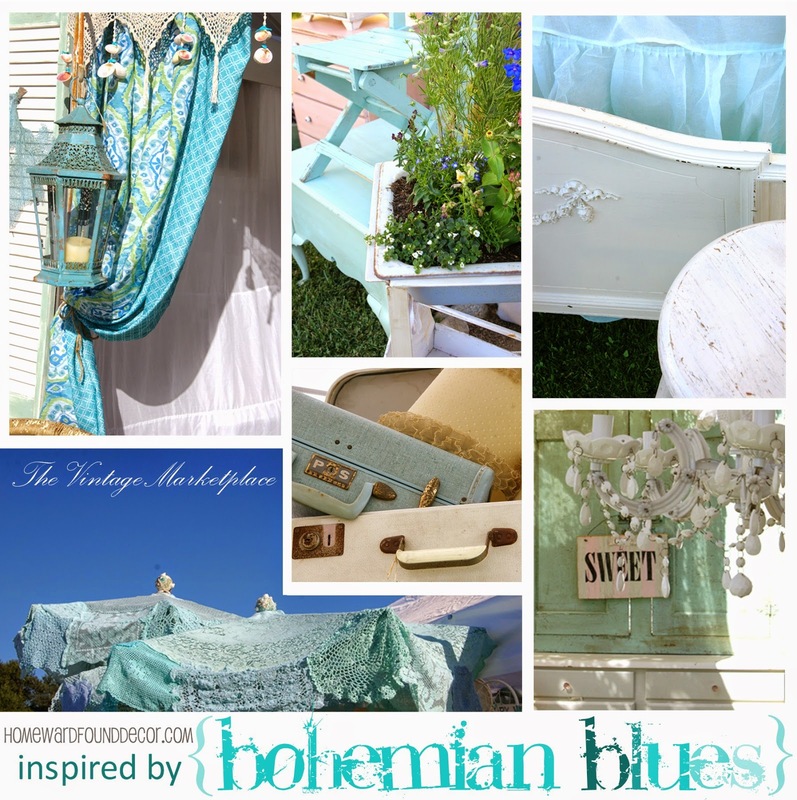 here on the blog and in Creating Vintage Charm magazine. I used lace tablecloths and frilly petticoats. and let me tell you they are bodacious beauties! Quite a bit of summertime inspiration can be found at shows like this. Was at Vintage Market on Friday. Every booth looked great, as always. I finally decided to take the chance and try for a booth. But now there is a waiting list. It only took me 4 years....so I will start the process. ..rita's booth looked great as always. A beautiful depiction of an amazing show. Photos do not do it justice although yours are fabulous. It's the air that makes it even more special. Miss my gals! Everyone misses you, too, Miss Amber!